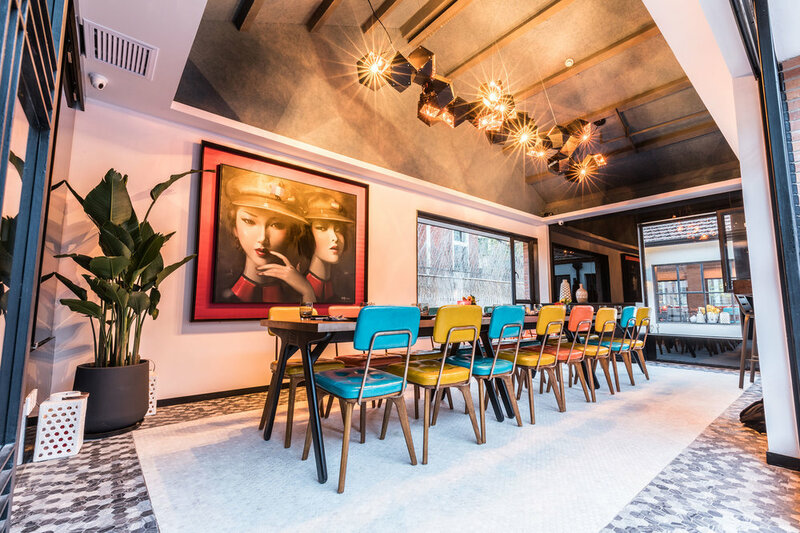 Colca captures the vibrancy of Peru with hints of patterns, textures and colors in a renovated urban block in Shanghai’s Former French Concession. The layout is based around an open-air dining terrace, which serves as the heart of the project. A mosaic water feature wall creates a tranquil backdrop for the seating area. The Latin-inspired bar transitions into the terrace, opposite of aprivate dining room. 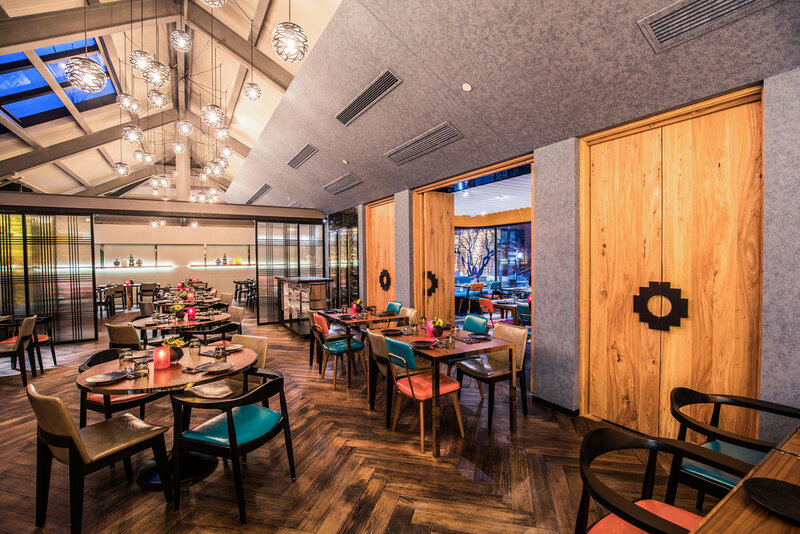 Reclaimed wooden doors and sliding screens provide flexibility in the main dining room, which can be closed for private events or open to create a lively dining room. The high ceiling and exposed beams were maintained through an asymmteric blue stucco wall, which conceals the MEP equipment. An illuminated feature wall, inspired by the topography of Colca Canyon, creates the ambiance in the main room, while connecting back to Peruvian origins.